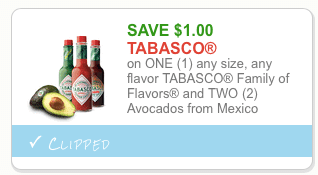 Tabasco offers all natural sauces and you can use this on regular or organic avocados! This is a rare chance to save on produce, so print this coupon quickly. You can print two copies.